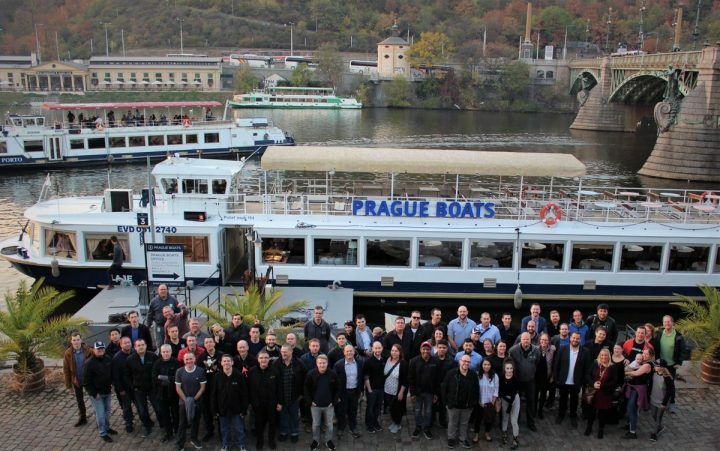 It's pretty hard to do a summary post on what's has been happening during Veeam Vanguard Summit Prague 2018. Awesome experience which was beneficial not only for all Vanguard present but also for Veeam as Vanguards had a lot of feedback on particular features or directions where Veeam is heading. My colleagues Vanguards has done already a great job of writing so my blog post might come a bit late, but I wanted to share the experience and the overall feeling from the event. We had three types of news: Green, Yellow or RED (strict NDA content) so we had to manage not to tweet about something nobody else knew about yet. The event was held in a nice hotel, where everyone had all the necessary comfort and where the sessions were held as well. We had one free evening where we got together for a city explore tour by night, but also a few evenings organized for us by Veeam. We had usually two mornings sessions followed by a lunch at the hotel, then two afternoons sessions. We were about 50 Vanguards from all over the world. Veeam Vanguard Summit was the first one we had. Previously, Vanguards were invited to different VeeamON conferences (usually in the US), however this time we had more personal experience with direct access to Product Managers, Developers and most of the Product Strategy Team, as they only delivered sessions for us. Not for a general audience during VeeamON. I like both ways to participate (if my availability permits), with a little more preference for the smaller event. We had dinner on a boat the last evening, but more morning sessions the next day, to close the event. The event was organized by Aubrey Galen and Kathie O’Brien and they have done an amazing job. Great thanks to Rick Vanover who is an amazing guy. Prague as a city for this event was ideal. The weather not too cold just yet and there is a lot to do in Prague. A very touristic city compared to the rest of the Czech Republic cities. 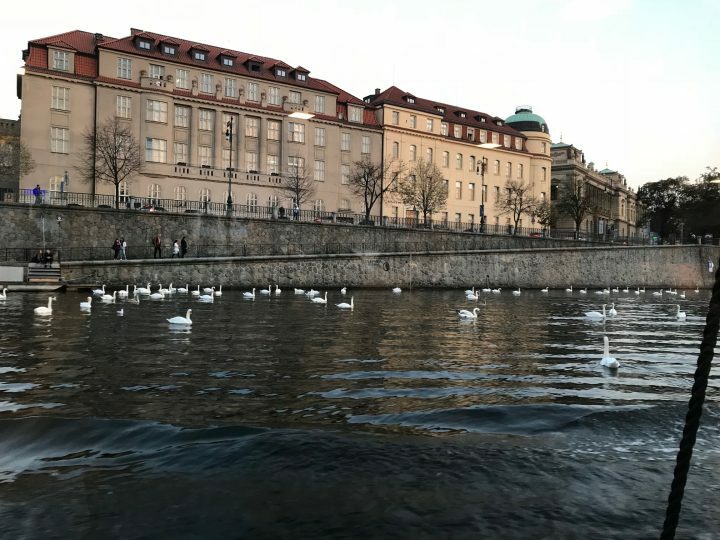 Many Vanguards were visiting Prague for their first time. 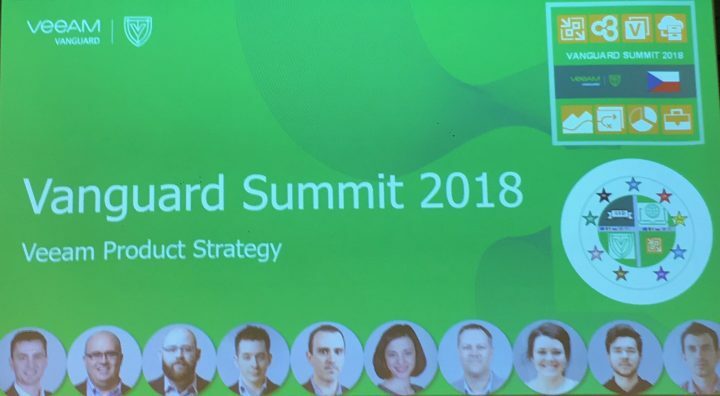 As being said, many parts of the sessions were RED or Yellow, so not for immediate share, but we had a great pleasure to get this news directly from the Veeam product strategy team. I won't go into many details here as fellow Vanguards (links below) has published the essential. Many Vanguards stayed longer before or after the event (or both), and many of them have also brought a family. We had a great time together, some great talks about technology, virtualized environments, designs, hyper-converged infrastructures etc. Other posts from fellow Vanguards, which are definitely with more details, more insights, and more precision. But as I said, I wanted to express the overall feeling I had from the event, not so much the technical parts. We had a great time with other Vanguards all over the world. It's definitely one of the highest level events I've attended where the organization was perfect, the presenters and the public lived for only one thing – To make Veeam Backup software the best. The interaction with other members of Rick Vanover's team was excellent and I can tell you, they were taking notes, so It's important to them as well. Yes, this event was beneficial for both parties and I hope that the next one will be even better.